Riding in the wet shouldn’t dampen your spirits, but getting caught in storms has risks that riders should be aware of. Storm conditions challenge everyone’s ability to see, through reduced light and – when the downpour is heavy enough – from the sheer density of rain drops. 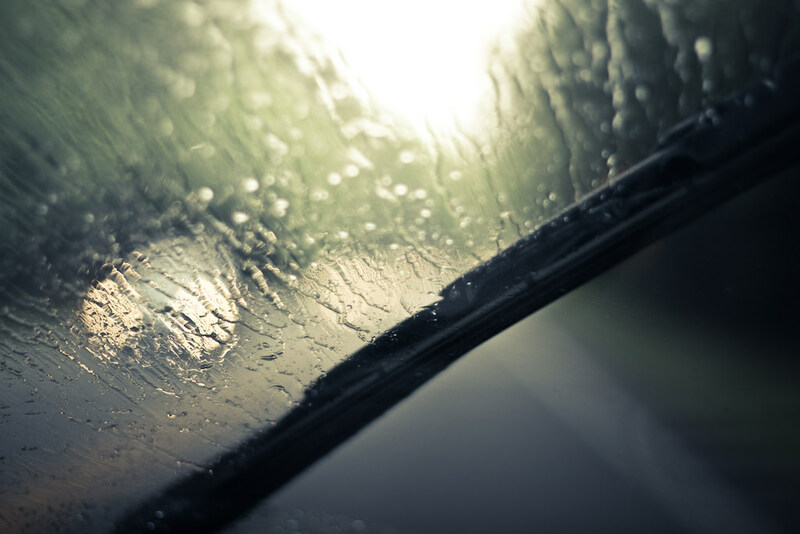 This is particularly a problem for drivers whose vehicle windows can be obscured by a deluge of rain. Bike riders must, therefore, be aware that vehicle drivers will have much reduced ability to see cyclists on the road. Riders must slow down and ride defensively, anticipating that they may not be seen. To increase their visibility, people who ride bikes must display lights and should use any other visibility aids they might carry, such as reflective elements. Water on roads creates slippery conditions, mostly from oil dripped from motor vehicles. 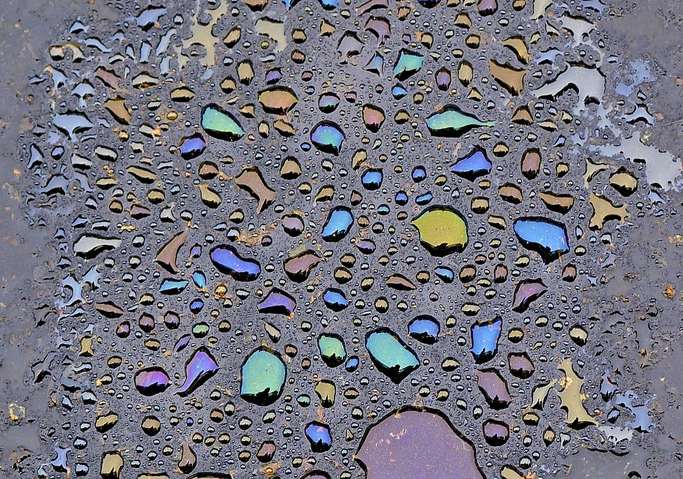 You might see rainbow oil slicks here and there but you should assume that the roads could be slippery, especially just after the rain has started and before the volume of water has cleaned the road surface. Riders must slow down, particularly for corners, and squeeze the brakes gently. Water also makes metal surfaces slippery, such as grates, access covers and train and tram tracks. Don’t swerve to avoid metal surfaces, which could cause a collision. Instead cease pedalling and glide straight over the metal. Braking, pedalling and turning on the metal surface can cause you to lose traction. Tracks should be crossed at as close to a 90 degree angle as possible. 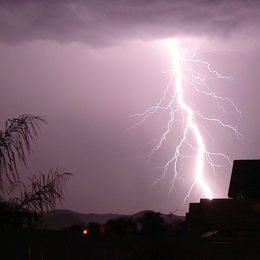 Thunder means lightning and lightning strikes are potential killers. When you hear thunder, lightning is in your vicinity and the best thing to do is get inside a substantial building. Sheds, tents and the like are no protection against lightning. Do not shelter under a tree because a lightning strike seeks tall things to conduct through. Avoid metal poles, fences and cables, which also readily conduct electricity and immediately get away from ponds, lakes and other bodies of water, and wet items such as ropes. Avoid open fields, the tops of hills or ridge tops. If you are in a group, spread out to avoid the current travelling between group members. Electrical build up lingers, so you should wait 30 minutes after a storm passes to go outside again. People can survive being struck by lightning. First aiders must begin CPR immediately. The heart might re-start itself but the breathing usually does not. Heavy rain can overwhelm the capacity of storm water drains, resulting in water flowing over roads and paths. This water is an obstacle to riding in itself, creating a drag on the wheels, and the water can also carry debris that creates a hazard. Riders should avoid riding through water. Heavy rainfall creates the risk of flash flooding from storm water run-off. Bike routes along waterways in particular can become impassable and should not be used.